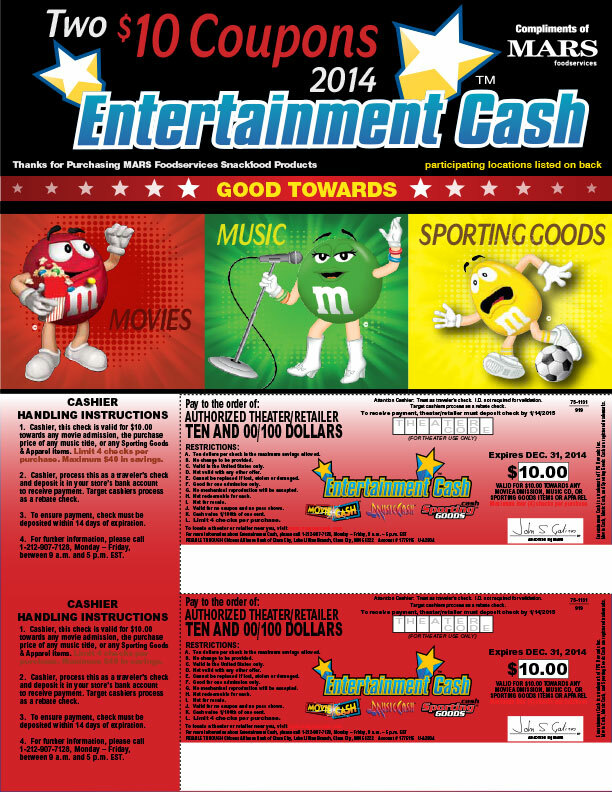 MARS Foodservices utilized our Entertainment Cash reward as a handout given to retailers by their sales department. Certificates were mailed to MARS who provided their sales force with the rewards to distribute freely. Each reward certificate contained two removable $10 checks to use towards music, sporting goods, or movie tickets at any participating retailer or movie theater.